Enhance and reinforce your science curriculum with PUDDLESTOMPERS guided nature explorations! 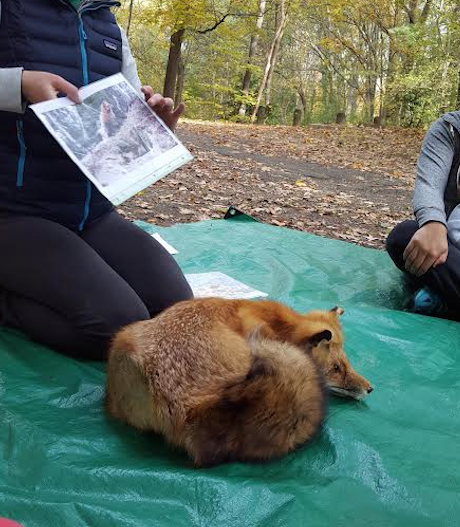 Our engaging, hands-on programs connect preschool and grade school aged students to the natural world all year round. As children interact first hand with the wonders of nature, they develop a deeper understanding of scientific concepts and make independent discoveries in nature. Our lesson topics span all seasons and are designed to highlight the ongoing cycles of nature. Each of our many programs are designed to be accessible and tailored to the developmental needs of the children. For each program, we provide a take-home handout that includes: factual information, a list of books, exploration and project activities, and online resources related to the theme in order to extend learning into the home. Whether it is a one time enrichment to highlight a special topic, or a regular part of your enrichment offerings, PUDDLESTOMPERS can customize our programs to suit the needs of your group. Program location, structure, length, activities, and topics can all be adjusted to create the best lesson for your young explorers! To see a full list of all of our lessons, please visit our STEM-based Curriculum page. If not, please describe parking availability in the box below.